Harlem Week Job Fair 8/15! 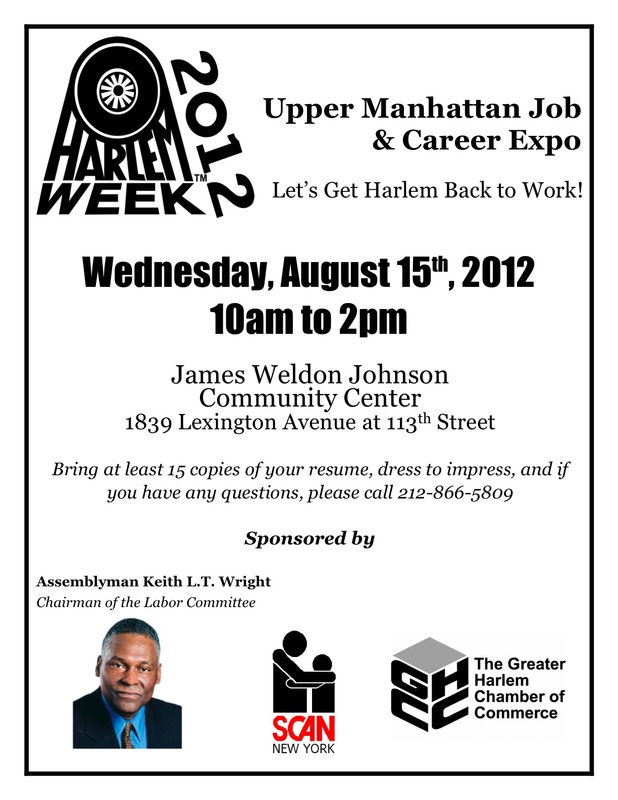 Harlem Week 2012’s Upper Manhattan Job & Career Fair is rapidly approaching! Where: James Weldon Johnson Community Center, 1839 Lexington Ave at 113th St. If you have any questions, please call 212-866-5809. Are you or someone you know seeking immediate employment? 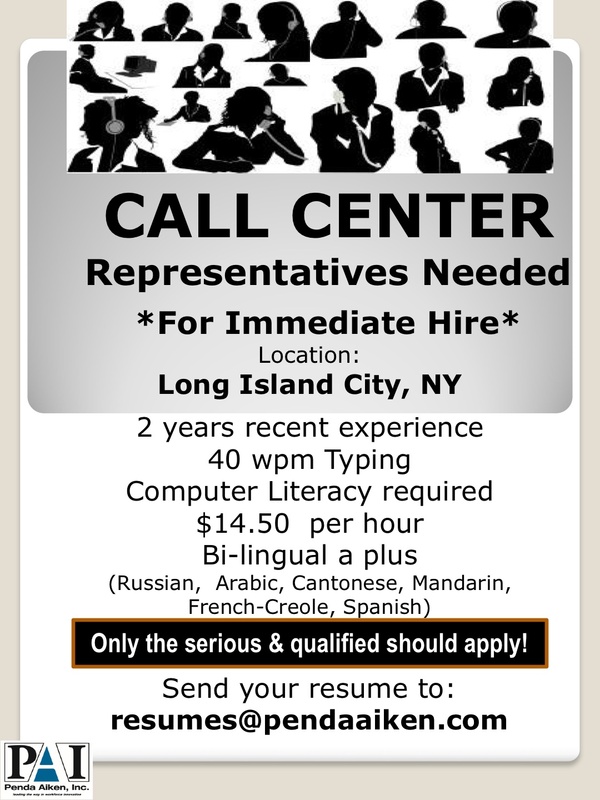 Penda Aiken Inc. call center is looking for representatives for IMMEDIATE HIRE! IF INTERESTED, SEND YOUR RESUME TO resumes@pendaaiken.com ! Are you or someone you know seeking employment? MTA is looking for track workers! Good salary and no high school diploma needed! APPLICATIONS MUST BE IN BY AUGUST 8TH! AUGUST 8TH!! AUGUST 8TH!! !